The B.A (Hons) ART (previously known as Visual Arts Practice) course within the Faculty of Film, Art and Creative Technologies at IADT is a four year programme designed to guide students into developing a practice relevant to the many opportunities existing for artists as well as help them understand the challenges of working in the visually and critically sophisticated landscape of contemporary art. In the first year of the course, students are given a range of key projects dealing with the application and implementation of research strategies and methodologies. These projects engage learning through analysis, problem solving and research development. 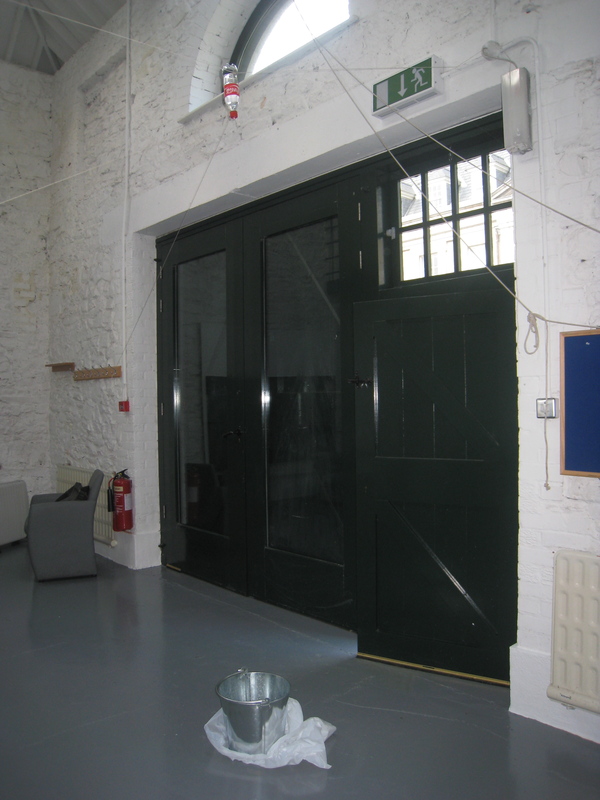 One of the main assignments in the first year is a 12 week project based in the Irish Museum of Modern Art’s artist studios. Called Base1Art, students get to use IMMA as a site-specific location for their individual projects. 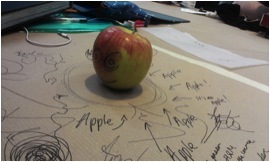 Supported by IMMA’s Education Department, the programme is facilitated by Lisa Moran. She and the Museum have been an integral part of the first year’s experience since 2009. During the first six weeks of the programme, in the lead-up to the midpoint of the project, the students participate in key events such as staff talks and access to the programmes at IMMA such as the Eileen Gray and the In the Line of Beauty exhibitions, a talk from Luís Pedro from the Irish Architecture Foundation as well as the Collection exhibition One Foot in the Real World. IMMA and OPW staff like Mary Condon the Royal Hospital Gardener introduces the students to the RHK site with a walk of detailed historical information, and Janice Hough, the Artist Residency Programme Coordinator, gives the students an overview of IMMA’s artist programmes. 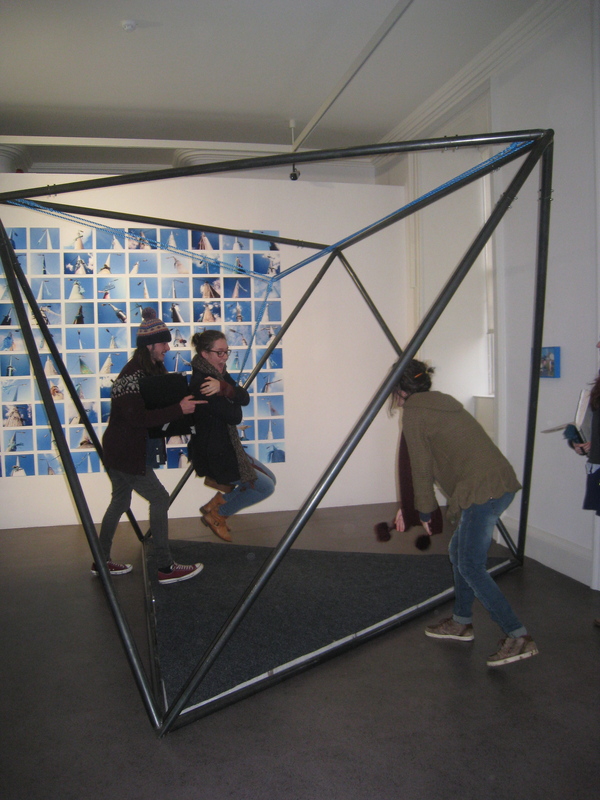 The students enjoy a variety of exhibitions in IMMA, currently Are jee be? 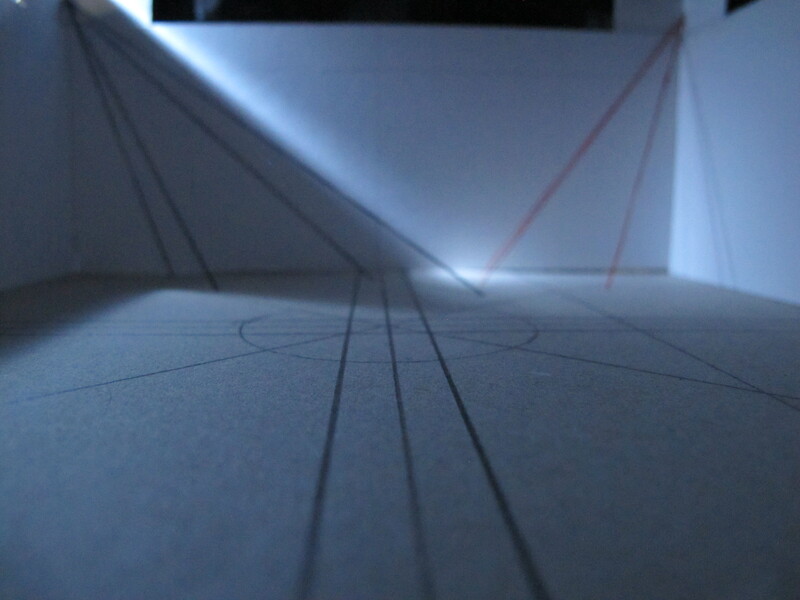 Haroon Mirza, Patrick Scott: Image Space Light and the family exhibition Light Rhythms. The project has just hit its six-week point, and the students have presented to their peers as well as some of the IMMA staff. This gives the students the opportunity to reflect on their diverse research they’ve undertaken and plan and finalise the outcome culminating in their end of year exhibition. We have asked some of the students to share their experience so far working on site in IMMA showing examples of their current research. My project is about sound and space. 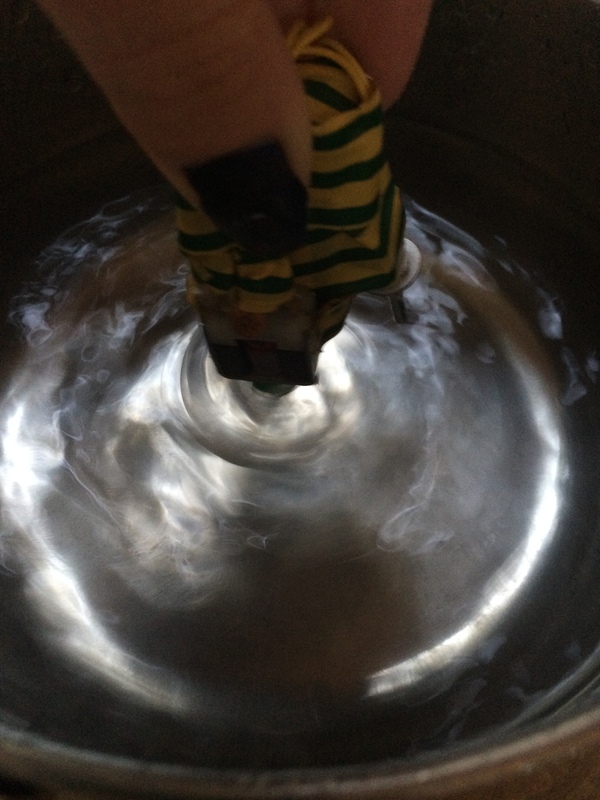 Influenced by the Artists Olafur Eliasson and Zimoun, I’ve striven to understand sound, how it moves throughout a space and how humans hear and react to sound – the physical properties of sound, how to amplify and direct that through physical means. A sound based atmosphere is what I hope to create, to have people react on an individual level to this very instinctive sense. This project has taught me a lot so far: How to deal with site-specific work, the considerations and constant rethinking and reworking of ideas to cope with the available space, how to adjust and how to draw the most out of what you have started with. The site at IMMA is great, and being able to show yourself off to the staff of a major institution is also a great opportunity. I’m a first year student of Visual Arts Practice at IADT. As someone who lost two years of practicing art due to a panicked, last-minute decision to go to UCD instead of IADT (and then thankfully finding an opportunity to change over to my dream course), the idea of having to do something as big and public as a site-specific piece in IMMA was very daunting. However, with baby steps and curiosity being fed by welcoming and friendly staff and the location itself being breathtakingly perfect for an aspiring artist, I now feel a huge sense of excitement for this project. One of the big things that caught my eye about IMMA are the shadows. I like the solid aspect of a shadow; how depending on the angle of the light, it completely distorts the original shape of the shadow-caster and becomes an image itself. My plan is to try and bring attention to specific shadows throughout IMMA, either making a sculptural piece or an installation that would divert the public’s attention from the caster to the strange and solid shape of the shadow. My time is IMMA has been most enjoyable and I’ve earned a lot in my time here. Site specific work has taken me out of my comfort zone and forced me to look at the surroundings in a very different way. 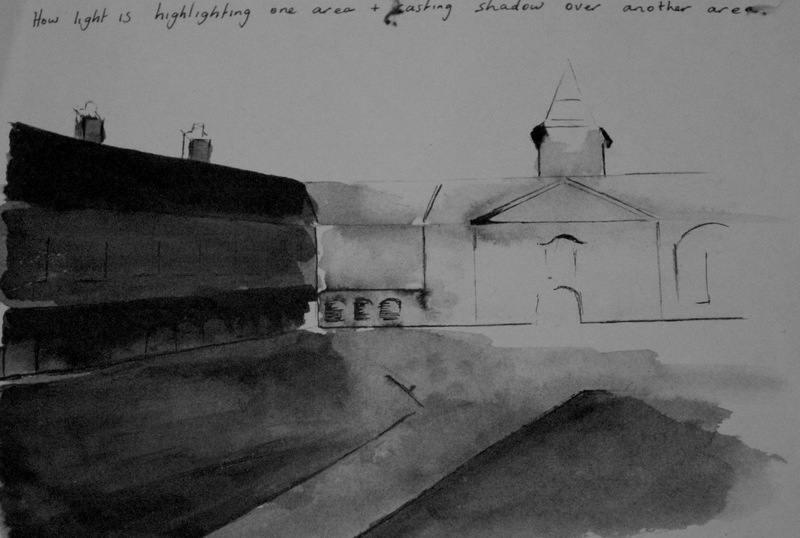 IMMA has provided lots of inspiration and what has interested me most is how the architectural structures breaks up light and casts harsh shadows and how space is defined by shadow. 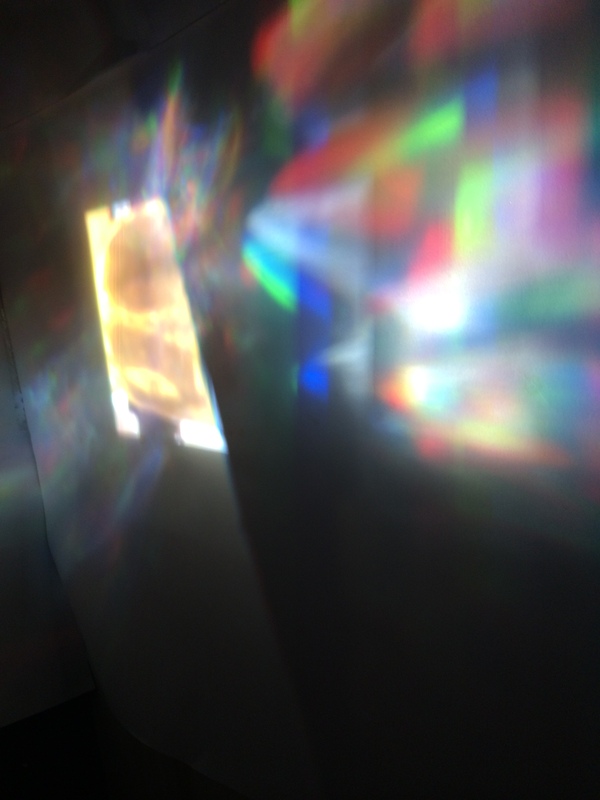 I began observing the light in the courtyard and from that i have learned to explore light and do a range of experiments to try alter, control and intercept light. It was great having lots of new and interesting exhibitions here on site which always provided some inspiration when needed. I especially enjoyed the Patrick Scott: Image Space Light and the Sol Lewitt prints up in the main gallery. I have learned so much in my time here in IMMA. I have thoroughly enjoyed my time working in IMMA. The scenery and the work around the galleries are very inspirational and I was instantly motivated to start working. Practicing with site specific work has been something very different to other work I have done but has proved enjoyable and an effective way of working so far. 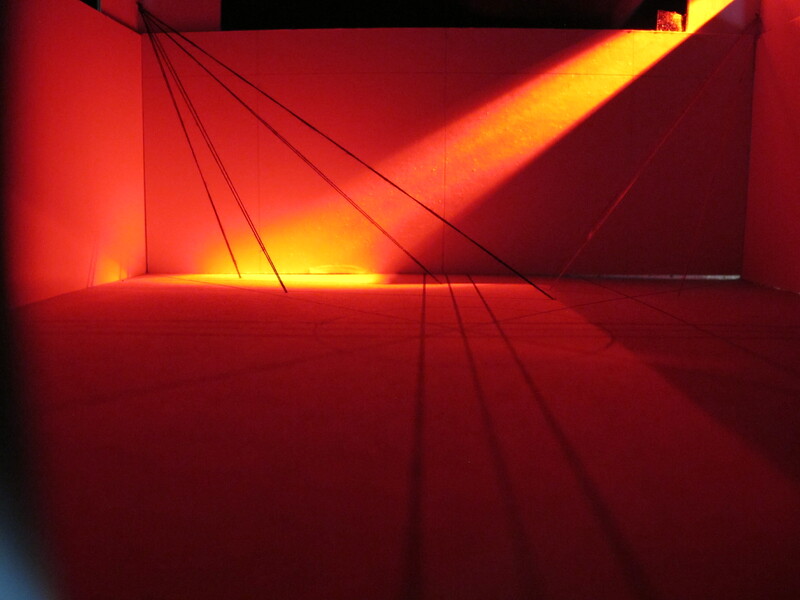 My site-specific project was based on light, time and shadows. I was fascinated by the marks left on the structure in the courtyard and how it was in constant motion. It was never going to be in the same place more than once a day. I liked the idea that it was something that would only happen under certain conditions (sunlight). The two most important elements are time and light. The location itself is prodigious and is an enormous opportunity for a 1ST year student to work where many well known artists have worked. The IMMA staff members have been more than welcoming and have been very accommodating in letting us make use of their studios, for which I’m very thankful. The move up to IMMA is something we had been leading up to all year. After every project, as well as feedback from our tutors came the whisperings of “IMMA.” After a term of structured projects with clear outcomes, the thought of a self directed project, with no restrictions except to be site specific, seemed daunting. It has been challenging, but IMMA really hasn’t fallen short as a source of inspiration. 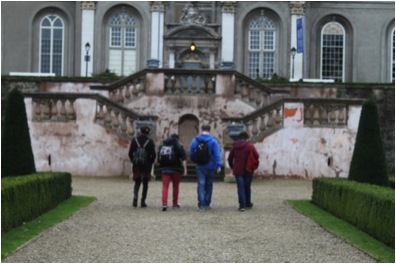 The grounds, the building, the gardens – were all sources of fresh, albeit often freezing, air and a new perspective. Although most people have based there projects around these aspects of IMMA, the various exhibitions while we have been on location have moulded our projects considerably. 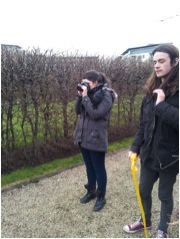 Our first few days consisted of walking the grounds and taking pictures of what interested us. These first photos became the building blocks of our research, and slowly, interrupted at times by mild cases of artists’ block, but our projects began to develop.